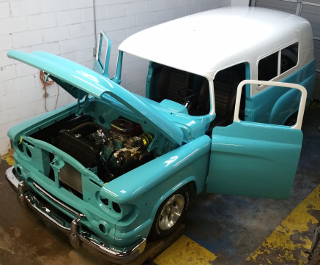 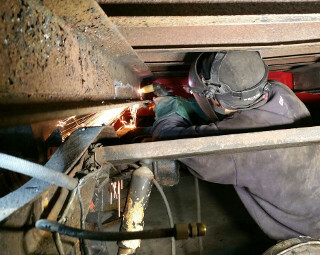 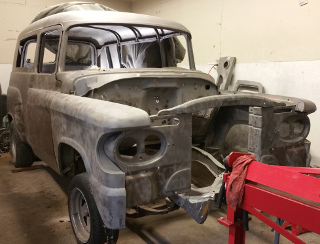 A full frame-off restoration requires the removal of the body from the frame and sometimes the complete disassembly of the vehicle, which is performed in multiple phases. 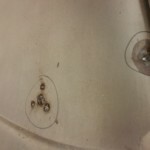 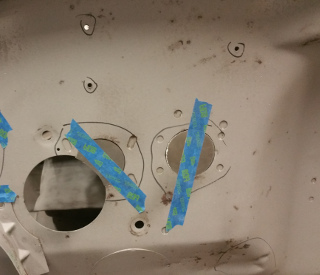 This type of restoration is not designed for someone with a limited budget as a properly done full frame-off restoration can be a costly undertaking. 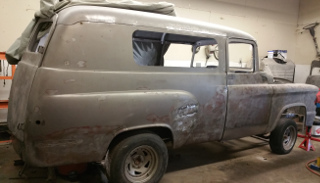 The vehicle is disassembled by removing the exterior accessories, which includes the mirrors, moldings, bumpers, taillights, headlights, emblems, and all glass. 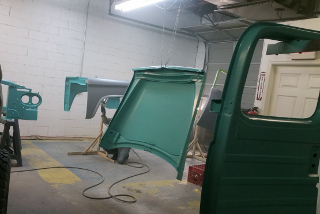 The vehicle panels are removed: doors, fenders, deck lid, hood, and inner fender wells. 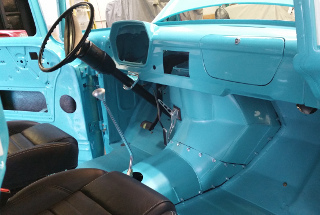 The interior accessories are removed, which includes the carpet, seats, door panels, headliner, dash, and any other accessories remaining on the car. 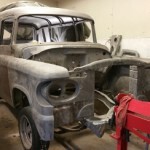 After disassembling the vehicle, all parts are assessed and any parts that are broken, badly weathered, or simply worn out are listed for replacement. 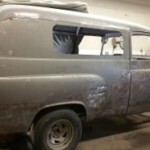 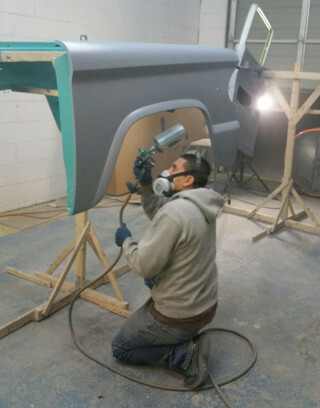 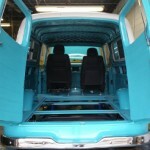 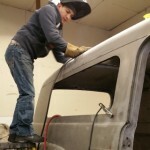 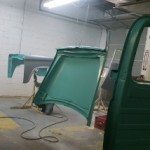 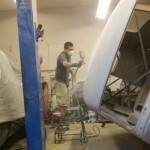 The vehicle is then prepared for stripping either by sanding, sand blasting, or soda blasting. 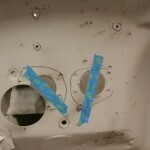 All rust spots, dents, or any other imperfections (i.e. 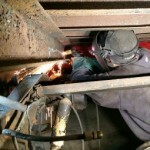 collisions or previous repairs) are documented and scheduled for repair or replacement. 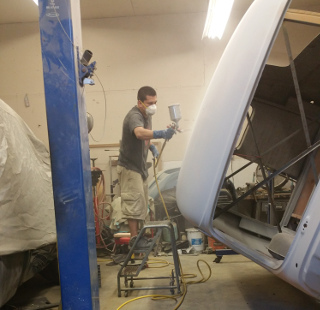 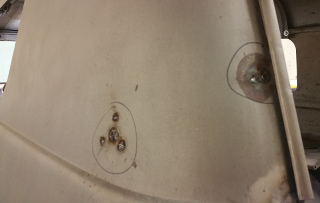 All rust spots, dents, or any other imperfections are methodically repaired or replaced. 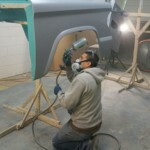 The dissembled vehicle is then expertly painted to customer specification. 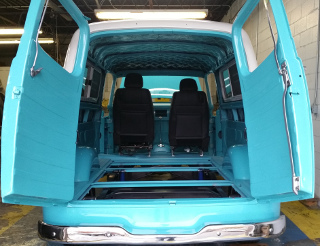 The vehicle body is reassembled and checked so it will be ready for mechanical installation/modification. 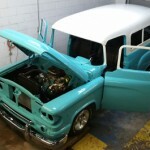 The mechanical aspects such as engine, transmission, suspension are carefully installed and tested. 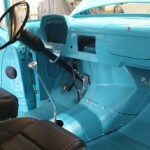 Finally, the interior is installed per customer specification.